KC is often used as a shorthand abbreviation for Keratoconus. KCVision.org was created by Ian McCain and Elio Spinello, both KC patients who met through an online Keratoconus Support Board. This site was built to help other newly diagnosed patients, parents/family/friends of people with the condition better know and convey how the world appears to the KC patient. It has also become a useful tool for education professionals to help develop IEP programs and to better understand the unique issues associated with KC. Keratoconus is a progressive eye disease in which the normally round cornea thins and begins to bulge into a cone-like shape. This cone shape deflects light in a manner that causes is to reflect light irregularly on the cornea. Causing a variety of visual anomalies including double vision, ghost images, difficult to correct astigmatism, light sensitivity, starbursts on fixed light images. ring like halos around fixed points in the light. This site showcases many of these issues and includes the personal transplant story for one of its developers including image based chronicling of post transplant. There are many studies being done to try and identify a clear cause for KC, but for the most part it appears to be a cumulative process with several contributing factors. Some factors have a genetic link as Keratoconus tends to run in families. If you have been diagnosed and you are a parent there is a chance that your children may have it. it’s a good idea to have their eyes checked for it starting at age 10. The condition progresses more rapidly in people with certain medical problems, including certain allergic conditions. It could be related to chronic eye rubbing. Keratoconus generally starts in the teenage years. It can, though, begin in childhood or in people up to about age 30. It’s possible it can occur in people 40 and older, but that is less common. The changes in the shape of the cornea can happen quickly or may occur over several years. The changes can result in blurred vision, glare and halos at night, and the streaking of lights. The changes can stop at any time, or they can continue for decades. There is no way to predict how it will progress. In most people who have keratoconus, the progression occurs in both eyes though not always to the same extent. It usually develops in one eye first and then later in the other eye. ith severe keratoconus, the stretched collagen fibers can lead to severe scarring. If the back of the cornea tears causing a condition known as hydrops, it can swell and take many months for the swelling to go away. This often causes a large corneal scar. KCVision.org contains a wide compilation of resources, from product recommendations, links to online resources and most importantly a variety of images which highlight the various visual aberrations. So what make vision with Kerataconus Vision so unique? is similar to looking through a car windshield on a a very rainy day. The images contained in KCVision help to communicate some of the visual distortions that many individuals with KC tend to experience. 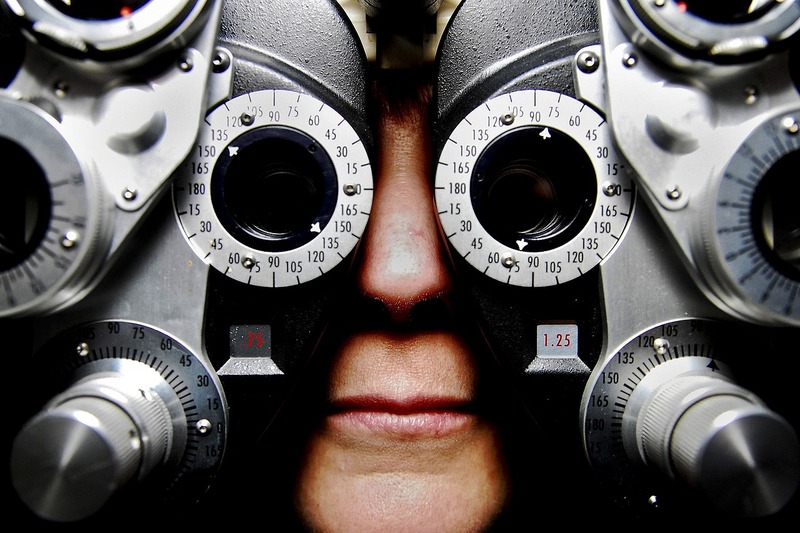 For patients, they may be useful in helping to communicate the severity of vision problems to their doctors. For friends and family members of KC patients, they may be useful in helping to understand some of the limitations that those with KC face on a daily basis.